iOS users will no longer have to rely on third-party apps to view animated GIFs from their iPhone and iPad devices. 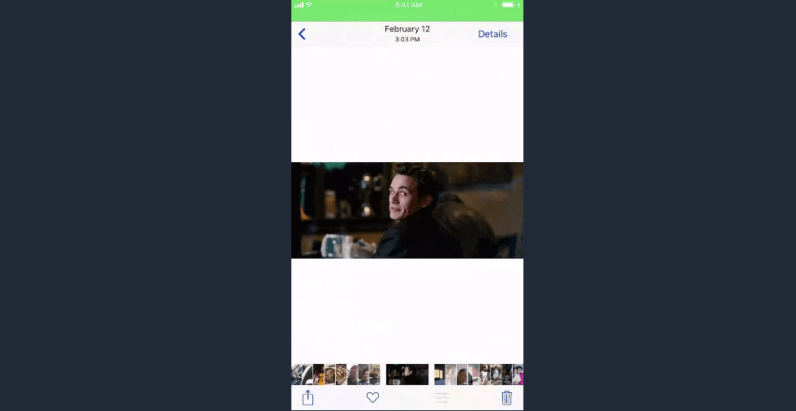 Apple has finally included support for GIFs directly into the official Photos app. As spotted by Redditors, the developer-only beta version of iOS 11 finally lets users play GIF animations natively in Photos. Previously users could only view GIFs in certain messaging platforms and third-party apps. Until now, the closest thing Apple had to support for GIFs was the option to view Live Photos by using the iPhone’s 3D Touch technology. In addition to the ability to view GIFs, the Cupertino giant has also built a dedicated screen recording functionality in iOS 11. Users will have the option to pin the Screen Recorder to the new customizable Control Center for easy access. One other handy feature that you can expect to see in the upcoming iOS update is the ability to animate and edit screenshots. Once they grab a screenshot, iOS users will now have the option to edit the image before saving it. Among other things, the new functionality lets you edit out undesired areas in your screenshots or add various visual markers for improved visibility. For more features announced at WWDC, follow our coverage from the event here or our full iOS 11 announcement post here.